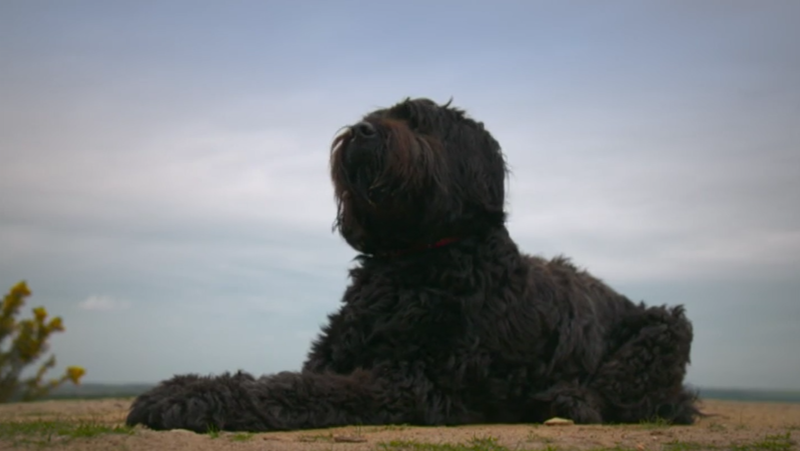 Lara and Iain bring their seven-year-old Briard (French Sheepdog) Buster to Fitzpatrick’s. He’s no stranger to Noel, who performed an ankle operation on Buster as a puppy. Despite years of excellent health, Buster is now lame, leaving Noel to wonder whether there’s a problem with the original surgery. However, a scan confirms that Buster is, in fact, suffering from degenerative lumbosacral stenosis, a condition caused by a bulging disc leading to compression of the nerves in his lower back. Noel hopes that by administering steroid epidurals over a period of time, further surgery can be avoided - but there are no guarantees. 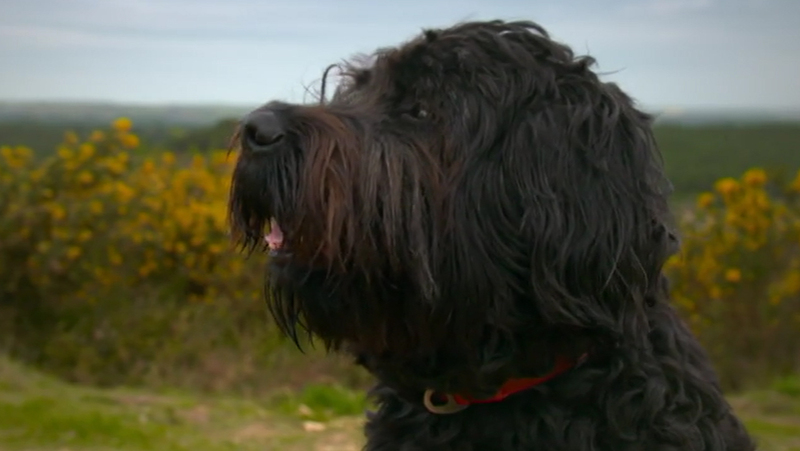 Buster is a loveable Briard who lives with his doting parents Lara and Iain. He’s played a huge part in the family’s life and grew up with their two children. Buster previously visited Fitzpatrick Referrals when he was a puppy to undergo surgery on his hind right ankle but recently began to suffer from lameness in the same back leg. 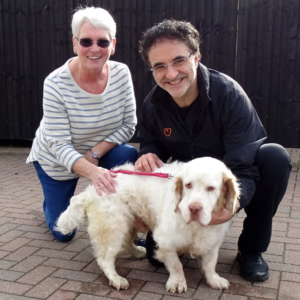 They returned to see Professor Noel Fitzpatrick seven years after his previous operation to find out where the pain was stemming from. Noel suspected that signs of osteoarthritis from Buster’s original ankle issue could be beginning to show. However on closer examination, he tested Buster’s sciatic nerve and he immediately yelped in pain – leading Noel to suspect he was suffering from a different problem - degenerative lumbosacral stenosis (a bulging disc), a common problem with larger breeds. Coincidently, Iain was a sufferer himself and knew Buster’s pain all too well. A CT scan confirmed Noel’s suspicions – Buster had a moderate bulging disc in his lower back that was causing the nerves that send signals to his back legs to compress. Noel explained that there were three treatment options to consider – medical management through steroid injections, physiotherapy or surgery. He wanted to avoid surgery if possible and try a series of three steroid injections first – a less invasive route. The good news was that Buster’s ankle implant was still holding up but the inevitable outcome of osteoarthritis had occurred. Noel administered a series of three steroid injections into Buster’s lower back. One on the day of consultation, another two weeks later and the final after five weeks. He also advised that Buster lose a bit of weight, as he was slightly overweight from not being able to exercise. He has been an absolutely integral part of the family. He’s been fantastic – couldn’t have a more loyal dog. The course of steroid injections proved to be a success for Buster. He was no longer suffering from lameness or pain in his back and he was able to enjoy life once again. There was the prospect that he may need to have further treatment to ease his osteoarthritis later down the line and Iain and Lara were happy with their decision to avoid the route of invasive surgery – especially as Buster was over seven years old. 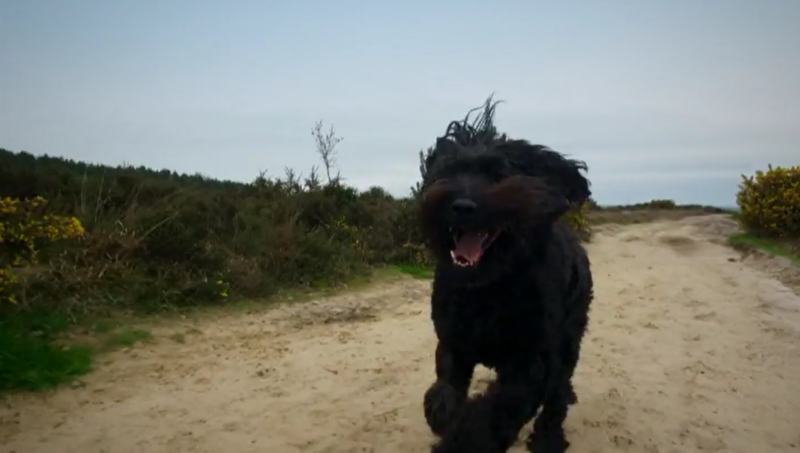 Sadly, since filming, Buster was diagnosed by his local vet with a bleeding mass on his spleen. Iain, Lara and their local vet made the heart-breaking decision to put him to sleep. These decisions are never easy for families but we support Lara and Iain with their wish to alleviate Buster’s pain and were touched by their determination to try and regain his quality of life. Buster was fortunate to have a loving family who had his health and happiness at heart.